Dental implants are defined as artificial tooth roots used to support a restoration for a missing tooth or teeth, helping to prevent jaw bone loss and restore chewing function. 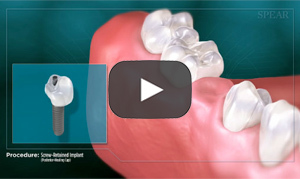 An implant supported crown is an ideal replacement for a missing tooth. 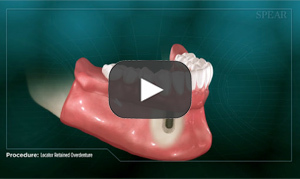 After an implant is placed by a surgeon, Dr. Summers attaches a metal abutment or post to the dental implant. A scan is taken and the crown is constructed on our Chairside Economical Restoration of Esthetic Ceramics (CEREC). 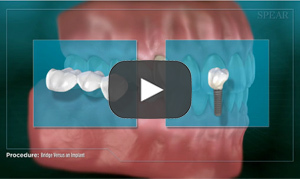 The implant supported crown is as strong and durable as a natural tooth. By replacing missing tooth roots, dental implants provide patients with long-term strength and dental stability. Additionally, dental implants stimulate and maintain jawbone, preventing bone loss and helping to maintain facial features. 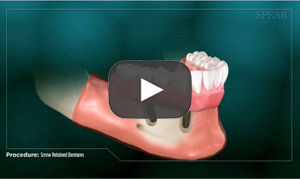 An implant supported denture is a denture that is secured into place through an attachment to dental implants. By comparison, a regular denture simply rests on the gums and fits less securely in the mouth because it must depend on natural suction or denture adhesives. Dr. Summers and his educated team afford patients the stability of implant supported dentures once their implants have been placed by an oral surgeon. Because the implant supported denture fits firmly into place, these dentures bring a sense of normalcy back to a patient’s life by restoring natural chewing ability.